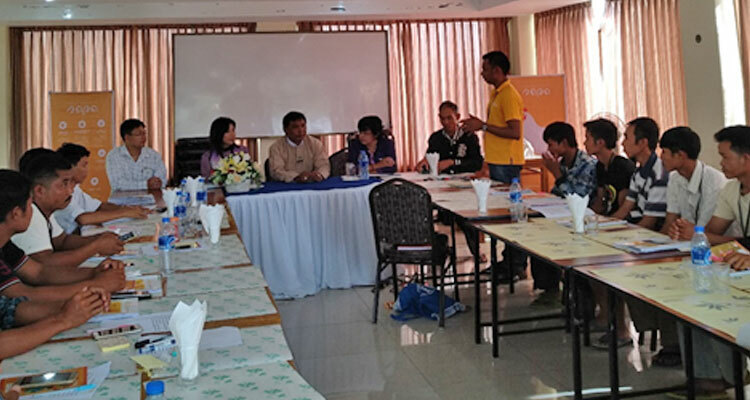 The SAPA corn production manual training for the extension staff (Training of Trainers) was successfully finished on 15-17th September 2017 at the Yadanar Aung Ban Hotel in Aung Ban (Shan State). It was a three day training program for 24 extension staff who were proposed by 12 corn traders from Taungyi, Yauksauk, Hopone, Pinlaung and Loikaw joined this training. 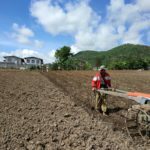 The SAPA corn production manual consists out of three modules which include topics as corn history, land preparation, sowing, fertilizer application, irrigation, pest and disease management, harvesting, post-harvesting and record keeping. Fresh Studio provided this manual and related training in corporation with Yezin Agriculture University. One part of the training was also a field trip to the SAPA corn trial plot where 5 corn varieties were tested on different guidelines (farmer practice, GAP standard, SAPA guideline) and the usage of fertilizer application. During this fieldtrip theory and practice were combined and resulted in a cheerful certificate ceremony. This extension staff training is not a means in itself; it is the start of an intensive training period of 2500 corn farmers in Southern Shan State where the objective is to improve the corn production in terms of efficiency and effectiveness. 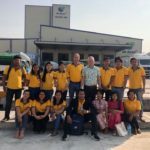 On three days Training, Dr. Thanda Min (professor), Dr. Nyein Nyein Htwe (Associate professor) form Yezin Agriculture University and U Thein Win (agronomist) from Fresh Studio provided the three modules training to the 24 trainees. Moreover, Daw Thin Thin Lae (Division head officer of the plant protection department of Shan State) trained “the pest and disease management” topic for the corn plant. 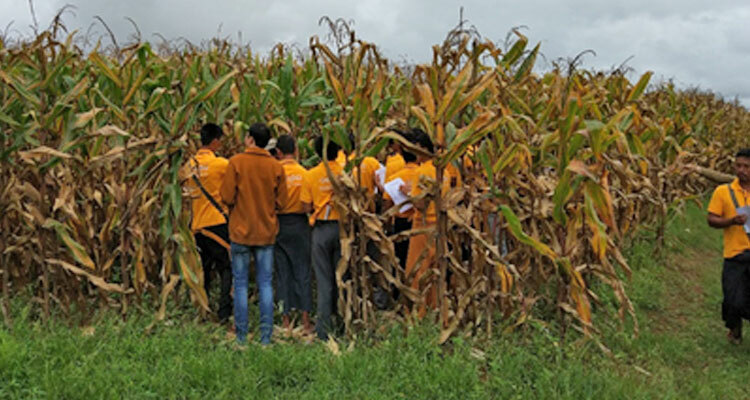 Each module took one day which include not only theoretical and practical but also panel discussion and field visit to the SAPA corn trial plot. U Zaw Win Htun (District head officer from Taungyi DOA), Dr. Thanda Min (Professor from Yezin Agriculture University), Daw Khaing Khain Oo (Research officer from Taungyi research and development department), U Soe Win (Aung Ban research farm), U Nay Zaw Hlaing (Corn Expert) joined the panel discussion session shared their knowledge regarding with sustainable agriculture, pest and disease problem to the trainees. 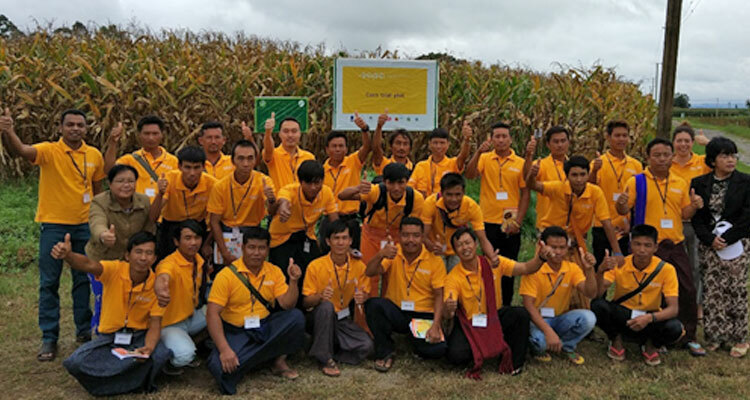 On 17th September, after three days training for SAPA corn production manual all 24 trainees received their certificates.